Are you looking for a credit card that offers cash back or travel rewards? Whatever you need, we have a credit care that's right for you. Save on interest with great low introductory rate for an extended time. Pay down other credit card balances faster with this non-rewards card. Earn 1.5 points monthly for $1 you spend on you spend on eligible net purchases (equal to 1.5% cash back).5 Plus, earn 2,500 bonus rewards points after your first purchase.3 There is no limit on the total cash back you can earn, and you have five years to redeem for rewards. Earn 1.5 points monthly for every dollar you spend on eligible net purchases.5 There’s no cap or limit on the points you can earn, plus you have five years to redeem points for rewards.4 2,500 bonus rewards points awarded after first purchase,3 redeemable for $25 cash back, merchandise, gift cards or travel savings. Provides an excellent opportunity for someone starting a credit history or for someone who has been turned down for a credit card. If you need to improve or re-establish your credit history,8 here's a great way to begin that process. Enjoy the convenience of credit including the option to carry a balance while earning interest on your secured savings account. If you're an existing Visa credit card customer, select make a payment to access your account, make payments, or verify your balance. 1Reward points can be redeemed as a cash deposit to a checking or savings account with Independent Bank or as a statement credit to your credit card account within one to two billing cycles. 2Cash Rewards Card: “Cash Back Rewards” are the rewards you earn under the program. Cash Back Rewards are tracked as points and each point in Cash Back Rewards earned is equal to $0.01. You may simply see “Cash Back” in marketing material when referring to the rewards you earn. You will earn 1 Reward Point (“Point”) for each dollar of eligible Net Purchases charged to your Account during each billing cycle. You will also earn 1 additional Point (for a total of 2 Points) for each dollar of eligible Net Purchases charged to your Account during each billing cycle for any merchant classified as a supermarket. The number of additional Points earned on supermarket Purchases is unlimited. In addition, you will earn 2 additional Points (for a total of 3 Points) for each dollar of Net Purchases charged to your Account during each billing cycle at merchant locations that are classified in any of the following merchant category codes: automated fuel dispensers and service stations, up to a maximum of $6,000 spent during each 12-month period commencing on the anniversary date of this Account. Automated fuel dispenser and service station purchases above $6,000 (for the remainder of that 12-month period) will earn at a rate of 1 Point for each dollar of Net Purchases charged to your Account during each billing cycle. Points expire five years from the end of the quarter in which they are earned. 3Bonus rewards points or cash back will be applied 6 to 8 weeks after first purchase and are not awarded for balance transfers or cash advances. One-time bonus rewards will be awarded after eligible net purchases totaling $1,000 or more are made to your account within three months from account opening. 4The Elan Rewards Program is subject to change. Rewards are earned on eligible net purchases. Net purchases are purchases minus credits and returns. Not all transactions are eligible to earn rewards, such as Advances, Balance Transfers and Convenience Checks. Upon approval, see your Cardmember Agreement for details. You may not redeem Points, and you will immediately lose all of your Points, if your Account is closed to future transactions (including, but not limited to, due to Program misuse, failure to pay, bankruptcy, or death). 5Real Rewards: You will earn 1.5 Reward Points (“Points”) for each dollar of eligible Net Purchases made with your Account within a billing cycle (equal to 1.5% cash back). Monthly net purchase points will be applied each billing cycle. Points expire five years from the end of the quarter in which they are earned. 6Premier Rewards Card Points: You will earn 1 Reward Point (“Point”) for each dollar of eligible Net Purchases charged to your Account during each billing cycle. You will also earn 1 additional Point (for a total of 2 Points) for each dollar of Net Purchases charged to your Account during each billing cycle at merchants which categorize their business as a service station or automated fuel dispensers. You will earn 2 additional Points (for a total of 3 Points) for each dollar of Net Purchases charged to your Account during each billing cycle at merchant locations that are classified in the merchant category code of airlines. You will earn 3 additional Points (for a total of 4 Points) for each dollar of Net Purchases charged to your Account during each billing cycle at any merchant classified as a restaurant. Points expire five years from the end of the quarter in which they are earned. 7Certain limitations and restrictions may apply. Further details are available in the Guide to Benefits which is provided to new cardmembers upon approval. 8Late payments and going over the credit limit may damage your credit history. 9The creditor and issuer of these cards is Elan Financial Services, pursuant to separate licenses from Visa U.S.A. Inc. and American Express. American Express is a federally registered service mark of American Express. 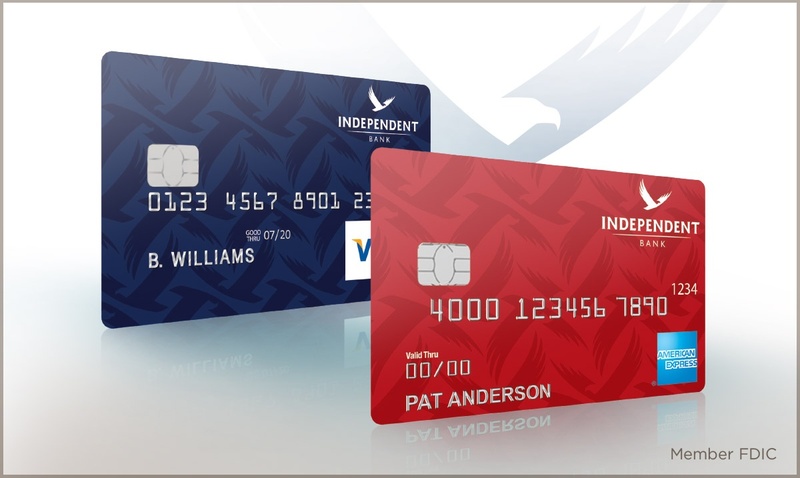 Are you looking for a rewards card that offers cash back or travel rewards? Whatever your needs, we have a credit card that’s right for you. If you’re an existing American Express credit card customer, select make a payment to access your account, make payments, or verify your balance. If your Visa or American Express credit card is lost or stolen, please call 800.558.3424. Call our 24-hour telephone banking at 888.300.3193. What are the Mastercard benefits? You can review all the benefits with your debit Mastercard here. Where can I use my new Debit Mastercard? Your card offers ATM access, plus acceptance for purchases at millions of locations where Mastercard is accepted.